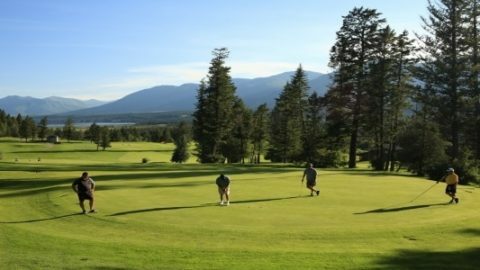 The Dunes utilizes nature to its advantage and has shaped the natural sand into a challenging but fun course that everyone can enjoy. 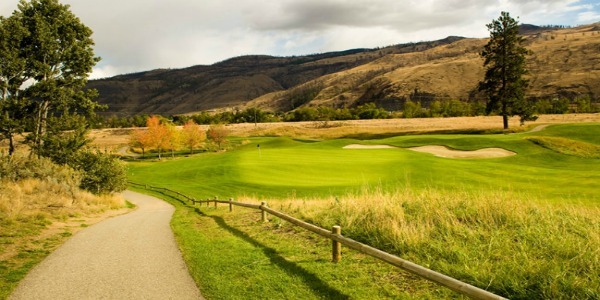 Located not too far from downtown Kamloops, it’s a bit out of the way to find but worth the trip. 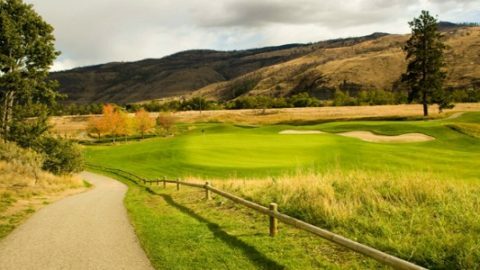 Here’s why you should visit the Dunes at Kamloops on your next golfing trip to B.C. 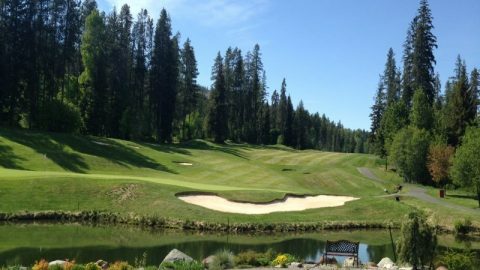 The course prides itself on its appearance. 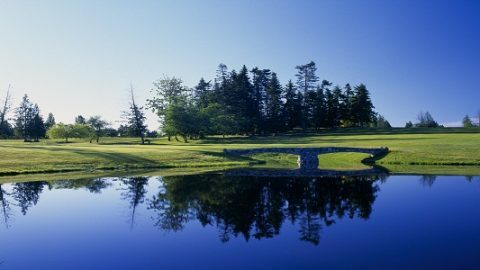 The fairways and the greens are well taken care of, as it was built to highlight what the landscape has to offer. 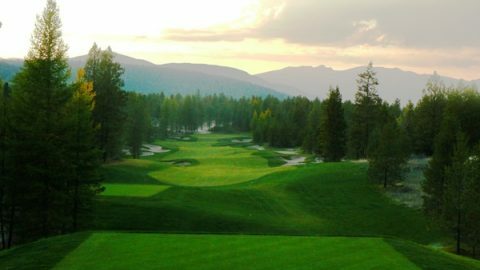 Wheatgrass and wild fescue line the fairways, and the course itself runs near the North Thompson River. Hints of the desert pop up here and there with the sand and the dry mountains surrounding the course. 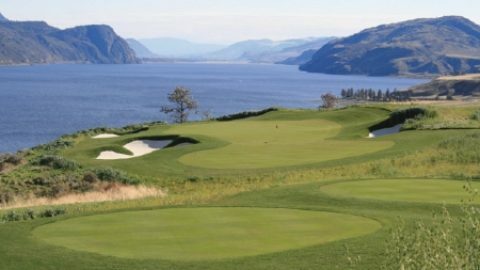 The four tees at the Dunes allow beginners to play alongside the pros. 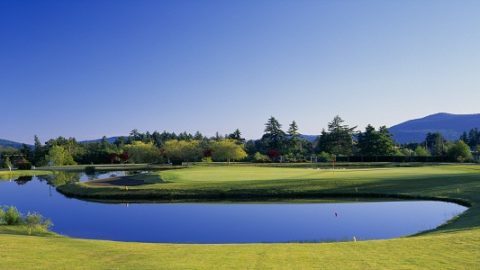 Sand traps and waste bunkers guard every green so true beginners will want to make use of the practice facilities before seeing if they’re up to the challenge. 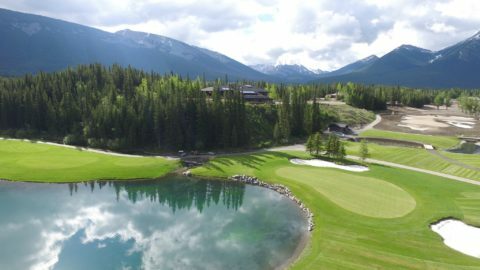 The 14-acre practice facilities are comprehensive and even offer a club or two at no charge if one is needed. The creative layout ensures a challenge to all skill levels. Two restaurants cater to many tastes. The Vue Restaurant is a family restaurant with daily specials and a full-service menu–appetizers, pizza, sandwiches/burgers, pasta, and grill. On Friday nights they have an all-you-can-eat buffet, which is very reasonably priced for both adults and children. Reservations are recommended for the buffets. If you’re looking to host a large event or a wedding, the banquet room can seat up to 200 people.